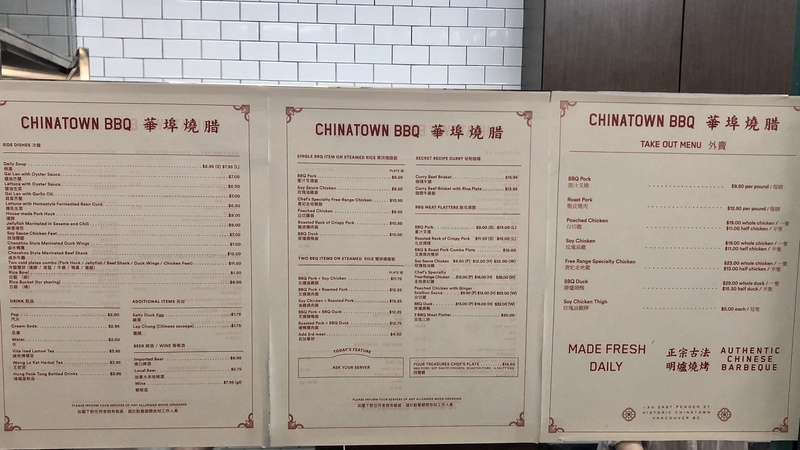 I had heard plenty of enthusiastic words about Chinatown BBQ from many, including some of the most popular food critics and bloggers in the city. It could get sentimental when it comes down to retaining a tradition. But is it just the nostalgia to the eyes that makes this place special? I was eager to find out how the food tastes at this critically acclaimed spot. *Remark: This post is based on 3 visits to the restaurants. 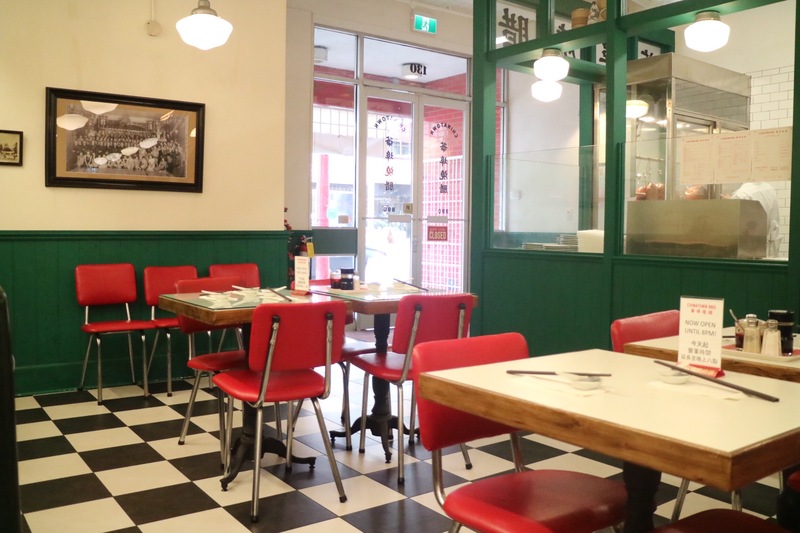 It has a certified “picky diner” rating. Barbecue has been one of the most important regional specialties as delicious and affordable meals for Cantonese folks, which I grew up eating in Guangzhou and Hong Kong. After I moved to North America, I came to it for a taste of home and a piece of comfort. Having had so much of it and tried most of the BBQ spots in Vancouver and Richmond all these years, I have a pretty high standard on good Cantonese BBQ. 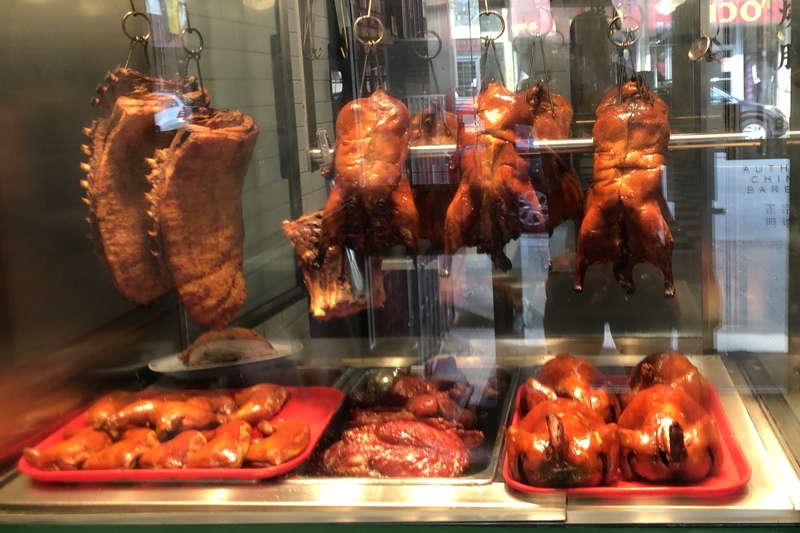 The first impression was the storefront display of BBQ meats behind the window – two full racks of roasted pork hanging high, half of a dozen BBQ ducks perfectly lined up, and the shiny glow on those rose-colored soy sauce chickens and honey-glazed BBQ pork. 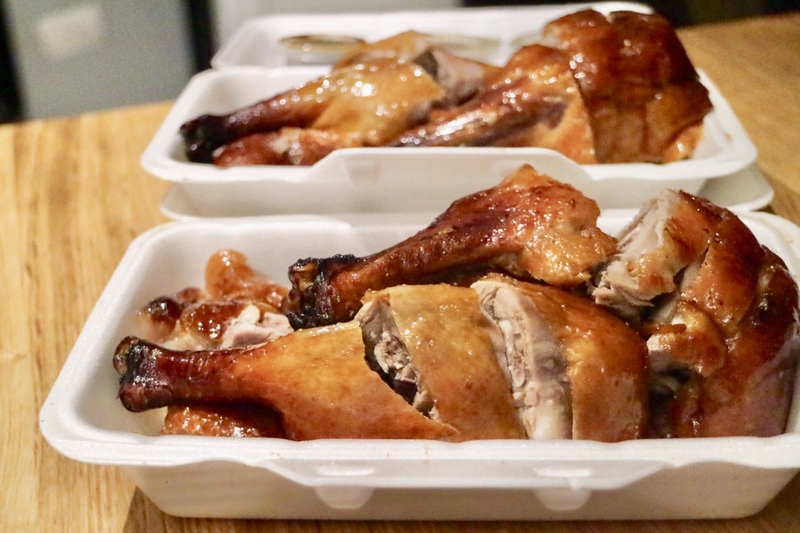 It’s a truly delicious blessing to visit a Cantonese BBQ shop when it first opens in the morning, with everything fresh out of the oven and the scent was absolutely incredible. 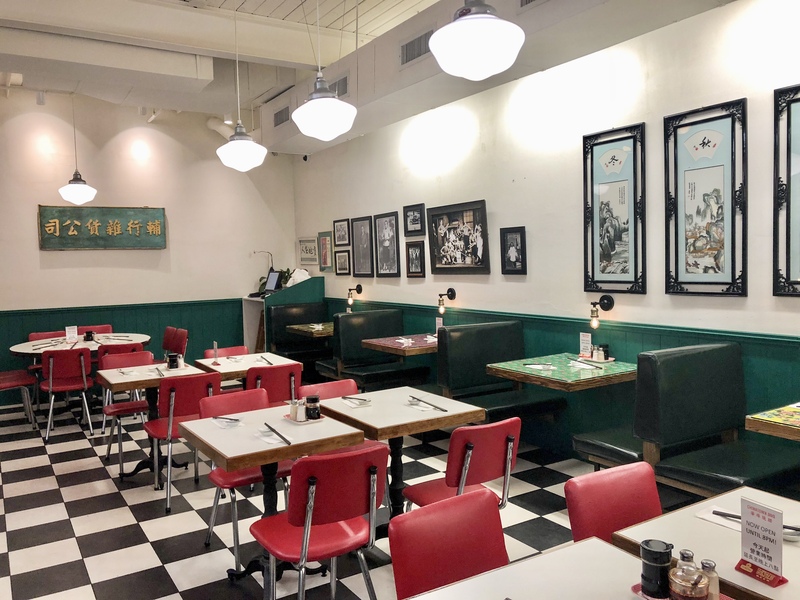 The tastefully nostalgic interior was designed by Craig Stanghetta and it gave us a piece of the old Canton – the green wood frame, the red chairs, and the checkered tile floor, typical colors for traditional diners in the old towns of Guangzhou or Hong Kong. Black and white photos from the neighborhood were on the walls, taking us down the memory lane. 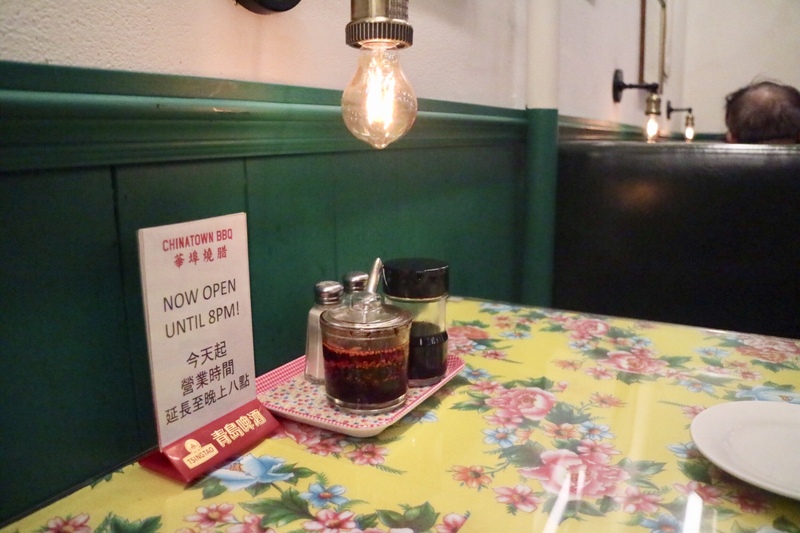 The menu featured the traditional Cantonese BBQ meats, prepared fresh daily by the BBQ master who used to run Daisy Garden, a Chinatown landmark for decades that unfortunately was burnt down not too long ago. They also inherited the curry dishes from the old restaurant. I decided to try two BBQ items. 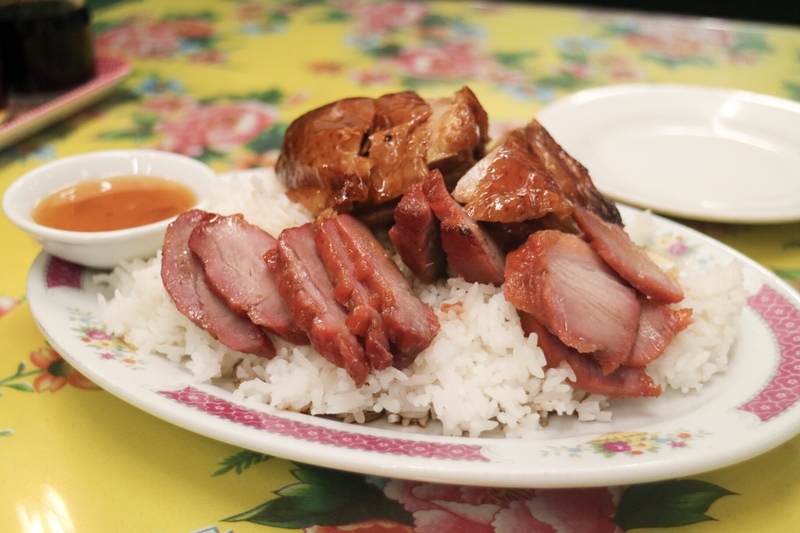 The double features of BBQ Duck and BBQ Pork on Rice ($12.25) is my usual go-to when I’m craving for some roasted goodness. This is above the average price of the BBQ restaurants in the Lower Mainland. Something like this would usually cost around 10 bucks in Richmond. The pork was fantastic, with the flavour balanced with sweet and savory, and the texture soft but slightly crunchy. I usually don’t like my BBQ pork too fatty. But this one has hidden the right amount of fat in the meat, make it so incredibly juicy. The duck was very fresh, with the skin nicely rendered and crispy, and the meat moist and succulent. However, I found the duck a little saltier than expected. I always like to eat BBQ duck as it is, with no dipping sauce. But in this case, the plum sauce worked the magic into the duck, making it taste absolutely perfect. The meat was slightly saltier because it was part of the breast that was soaked in the juice that filled up the rib cage from the roasting. 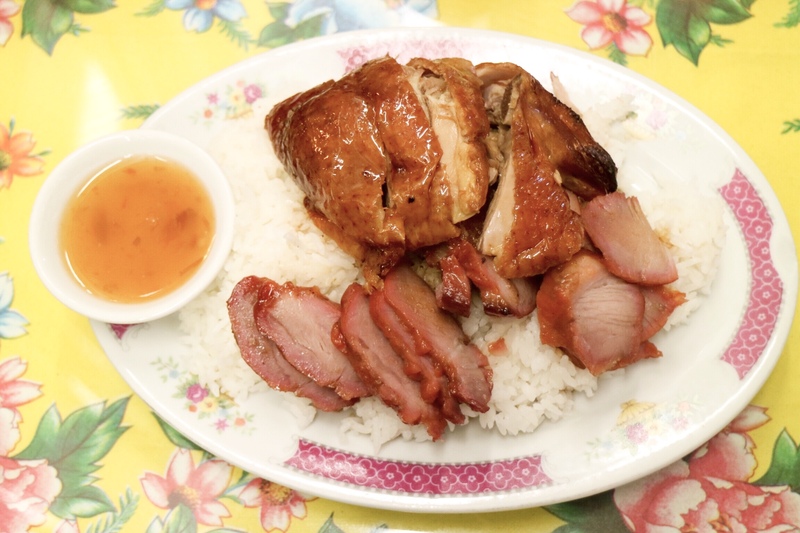 If you order a whole duck, like what did, (see below), you would likely to find this part of the meat a little saltier. But yes, the fix is the plum sauce! The food was so good that a couple days later, I decided to share a whole duck from Chinatown BBQ with my roommate and his visiting friend. The whole BBQ Duck ($29) had a lot of meat and it easily fed 3 of us. 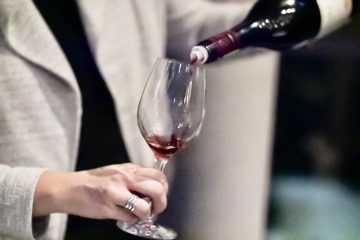 Actually, I paid and claimed a whole half because I love having the duck with just some light red, something like Gamay or Pinot Noir. But for a quick meal, get half of a duck, a couple of steamed rice bowls and a handful of blanched greens, there goes a traditional Cantonese dinner for two! 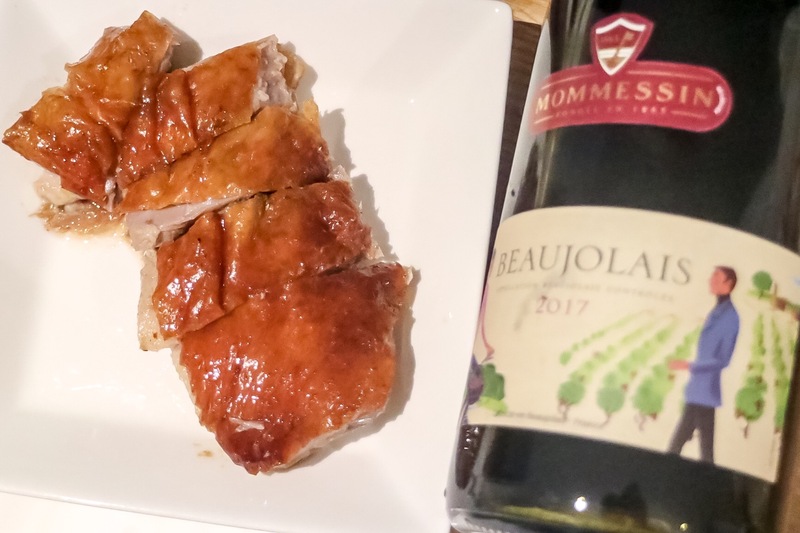 After trying quite a few kinds of wine, I highly recommend a Beajoulais, young, fruity, but slightly dry, like a dark berry sauce that complements the savory but slightly sweet taste fabulously. For a born Cantonese who had lived in Guangzhou and Hong Kong, the BBQ meats here at Chinatown BBQ are among some of the best I have had. Although slightly more expensive, it is still quite affordable for something authentic and traditionally prepared. The rice plates were absolutely delicious. If I have to nitpick, it would be perfect if they add a few greens on the plate. 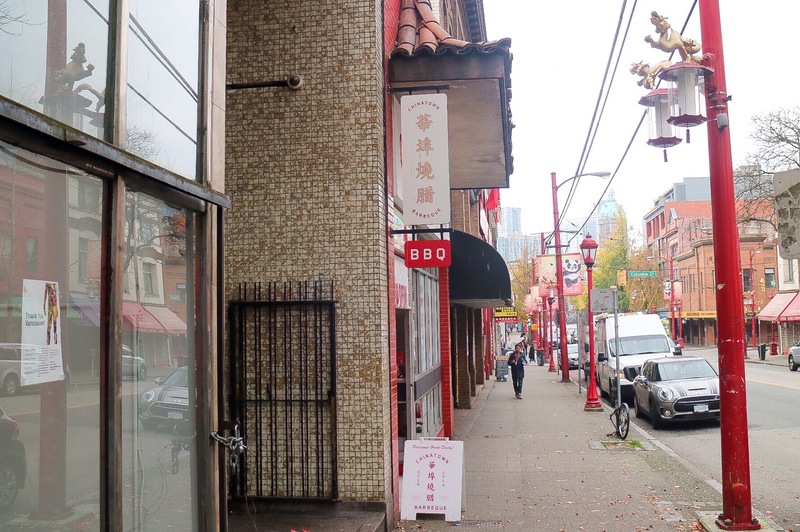 Nevertheless, this is a true Chinatown gem that represents the collective history of Chinese culture in Vancouver, and a spot worth visiting if you are seeking authentic Cantonese food in the city.